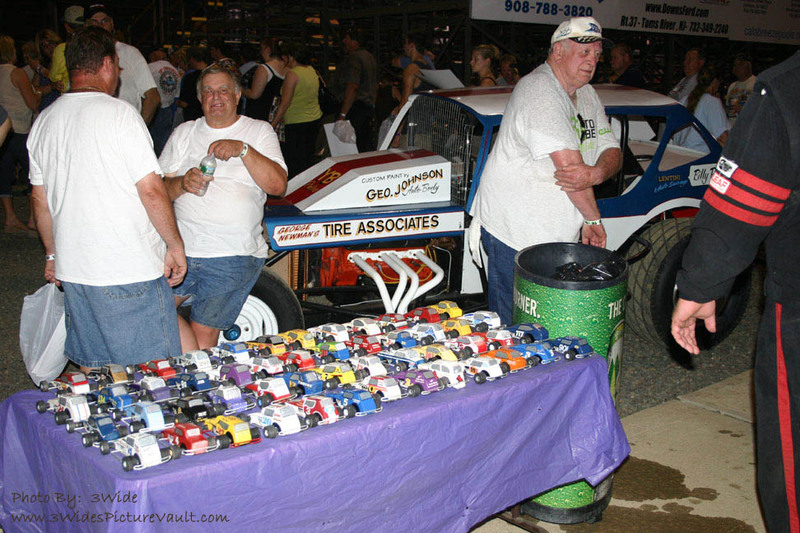 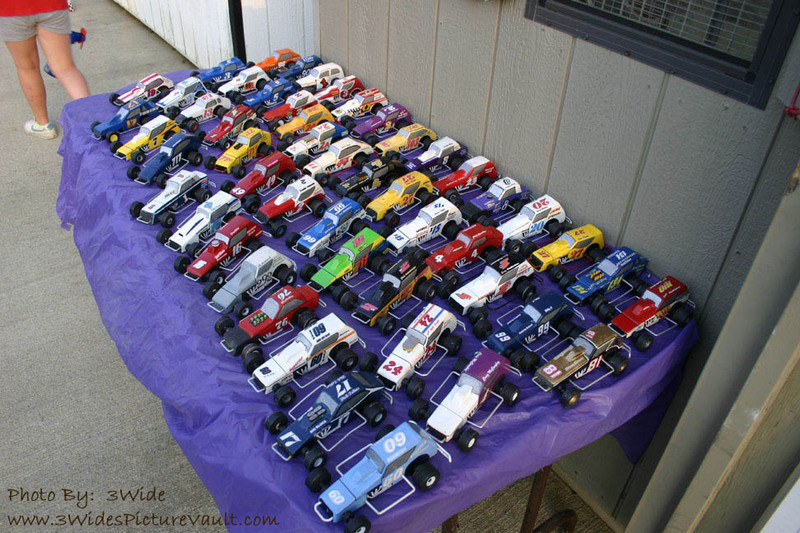 New Egypt Speedway "Off Track Photos"
Full field of cars on hand... thanks to Bill Boundar who makes these cool little wooden cars and gives them out to fans just for the fun of it. 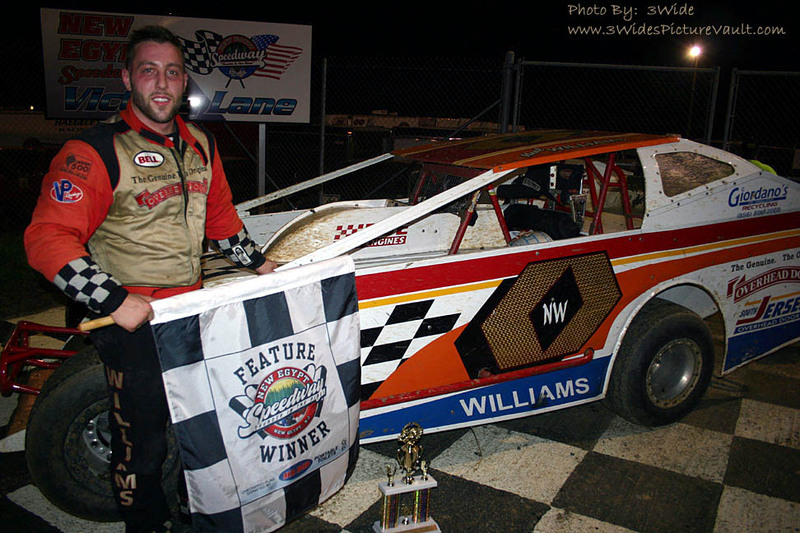 Delaware's Mike Wharton took the win in the first of two Fastrak Late Model Features. 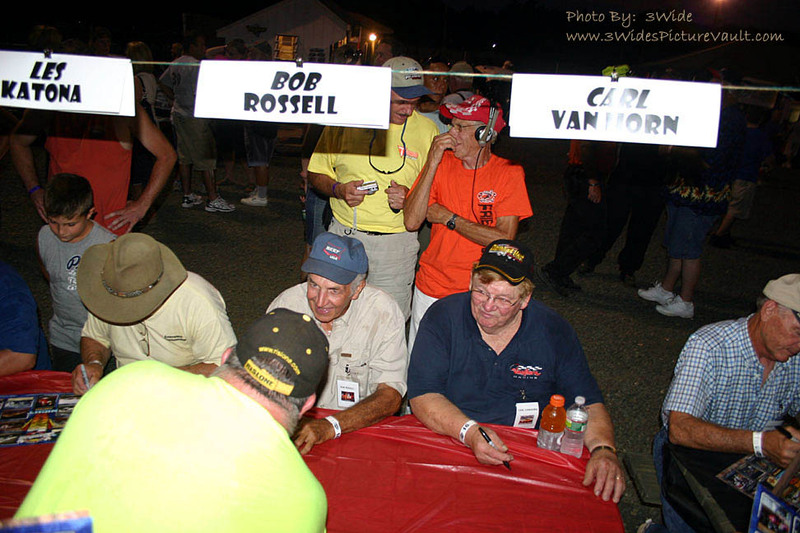 Mike Wharton and crew... Found out that Mike was a big Bob Toreky fan back in the day. 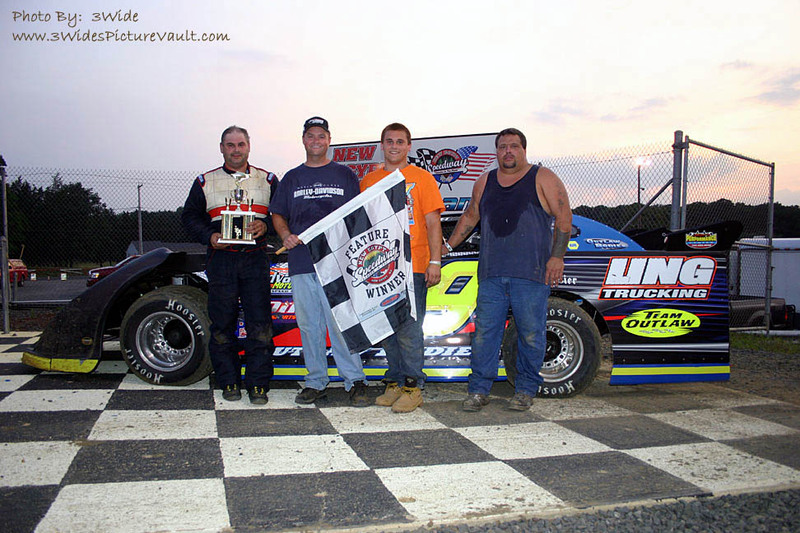 Rob Orsmbee took the win in the 2nd Fastrak Late Model feature. 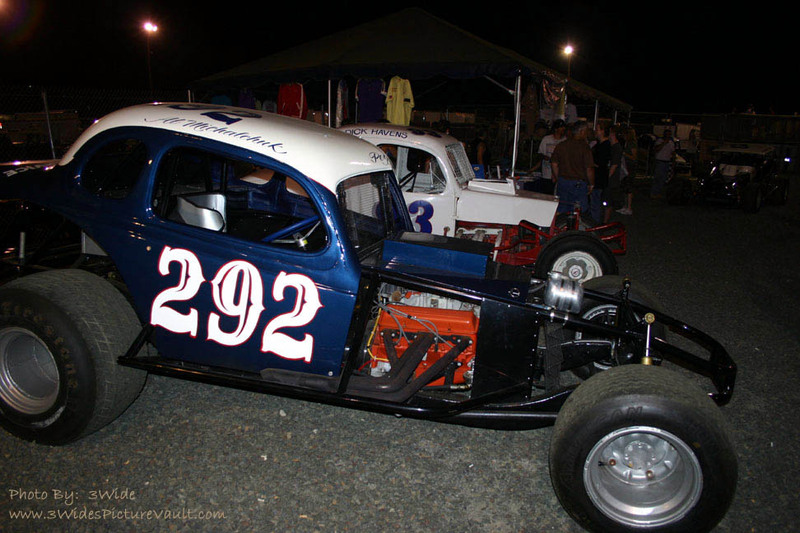 Vintage cars on display as part of Legends Night at the speedway. 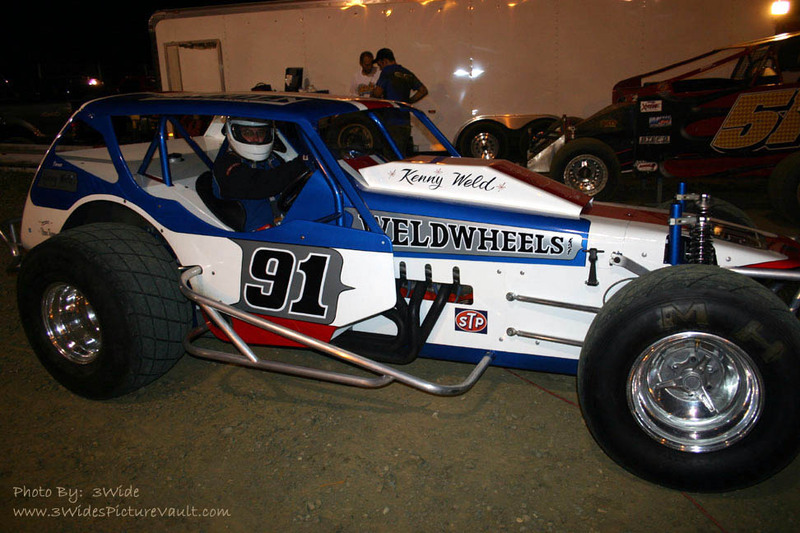 ...and here's the original Kenny Weld #91.... What a beauty! 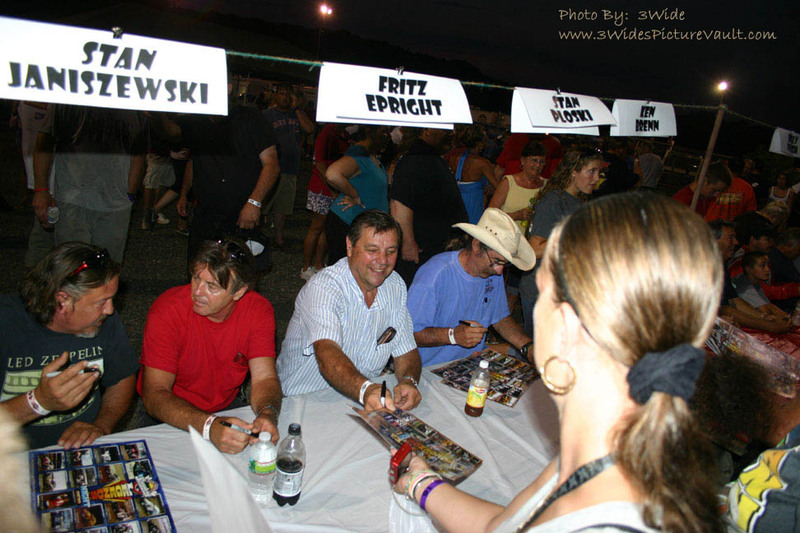 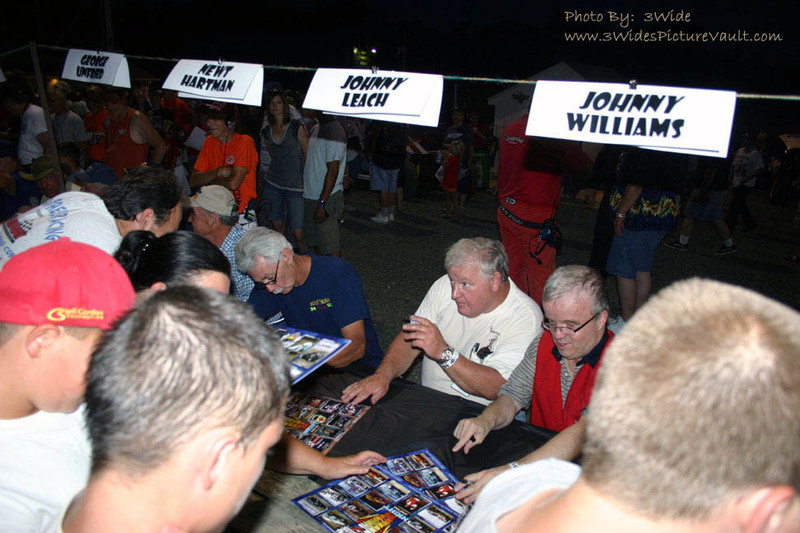 Fans had the opportunity to meet many of their favorites and to take home a great souvenir poster too. 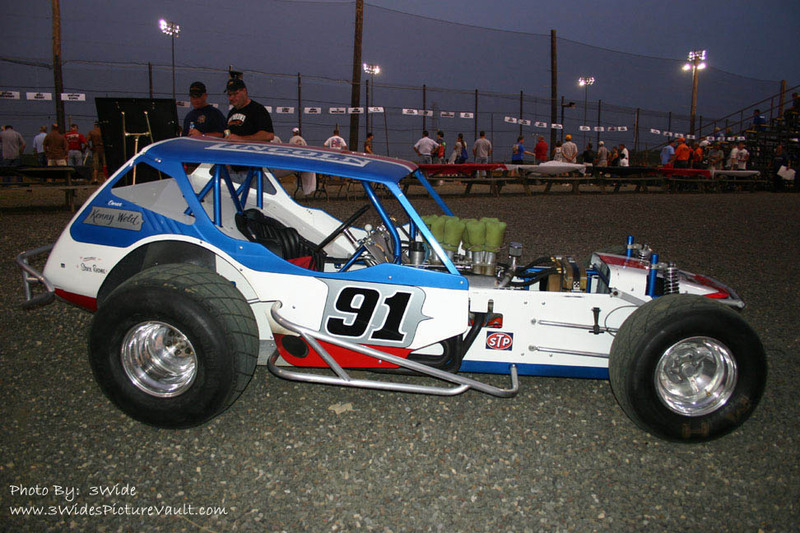 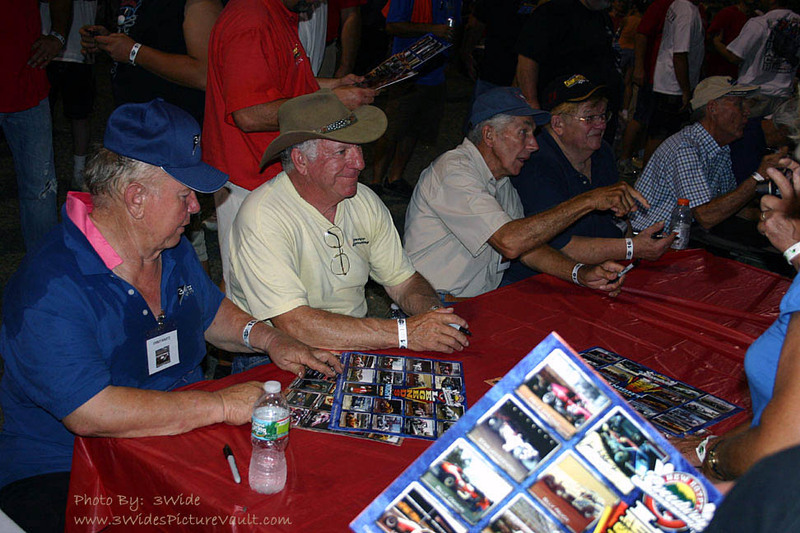 John Blewett, Gil Hearne, Tony Siscone and Harold Dauncy all raced at New Egypt when it was asphalt. 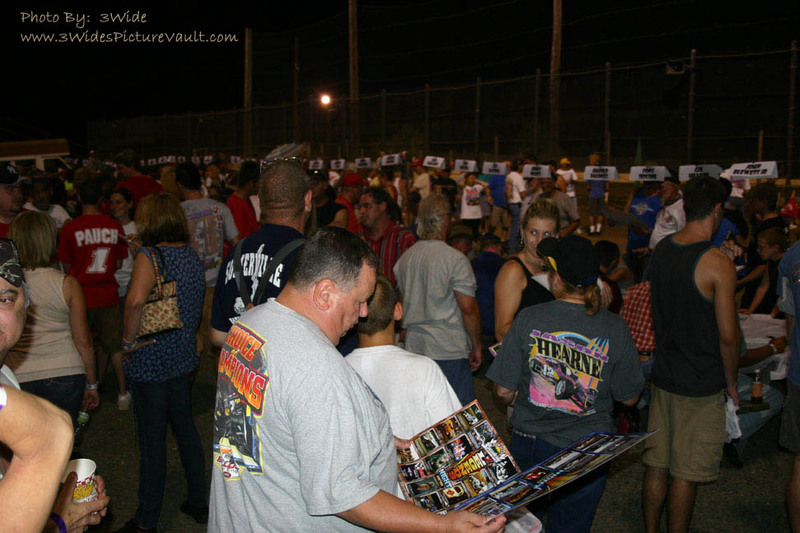 The fans keep on lining up... We hope everyone had a great time and got to say hello to their favorites. 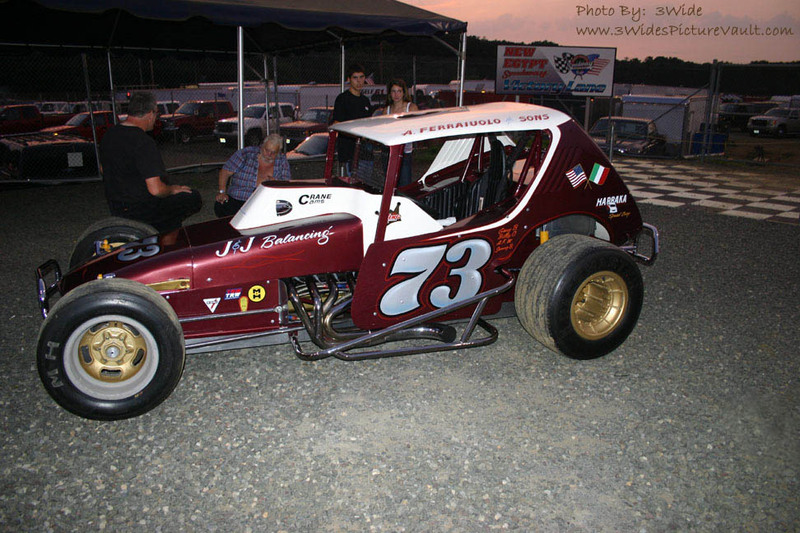 ...and Anthony Ferraiuolo get's ready to do the same... 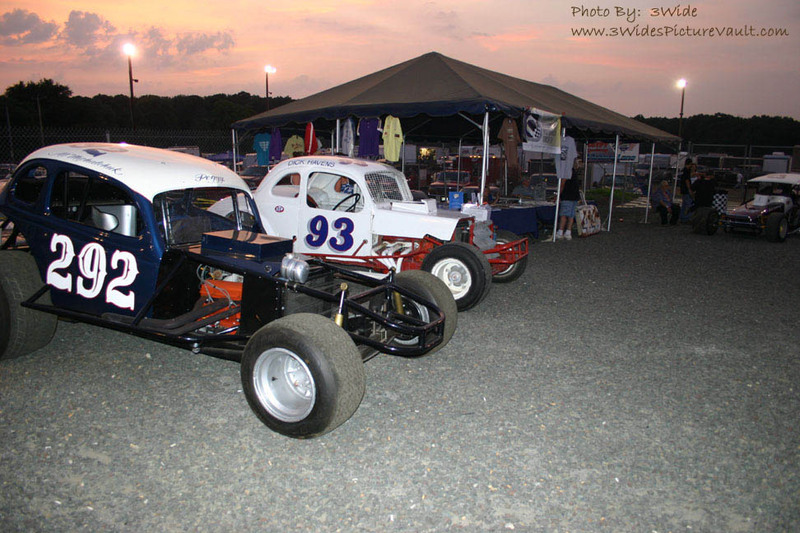 The history of both of these 2 cars is amazing! 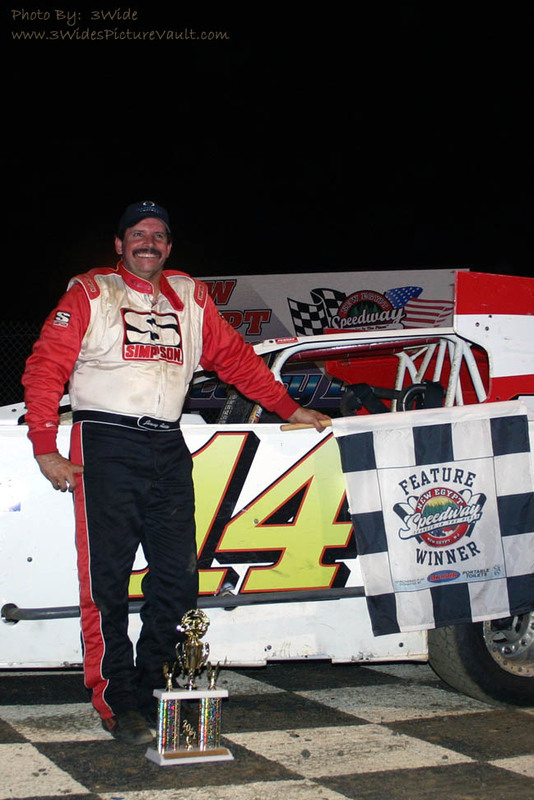 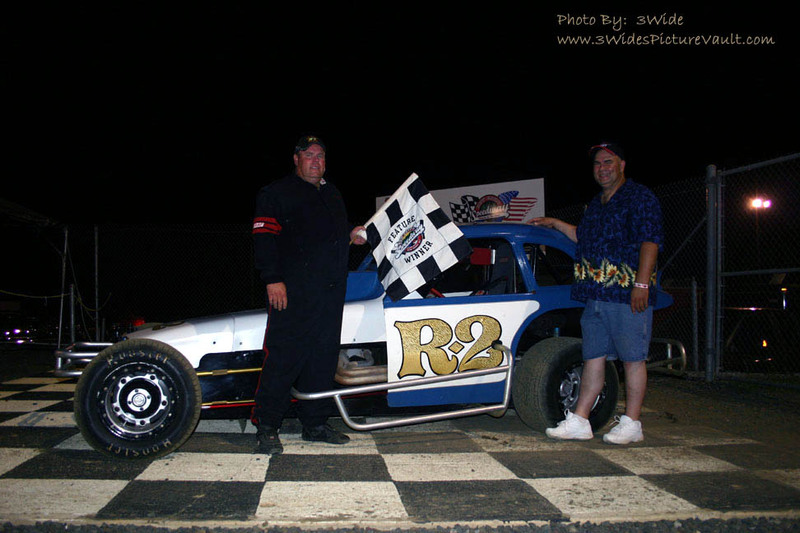 Neal Williams took the win in the Crate Sportsman Feature event. 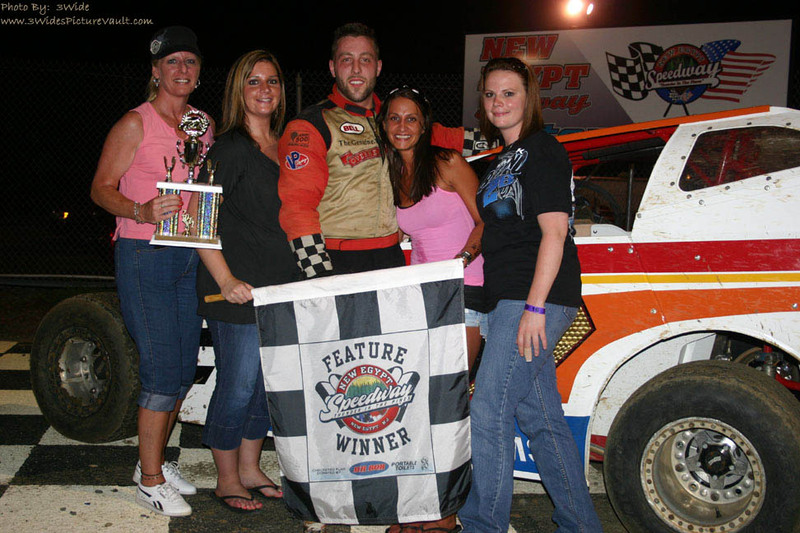 Here's Neal and the winning crew. 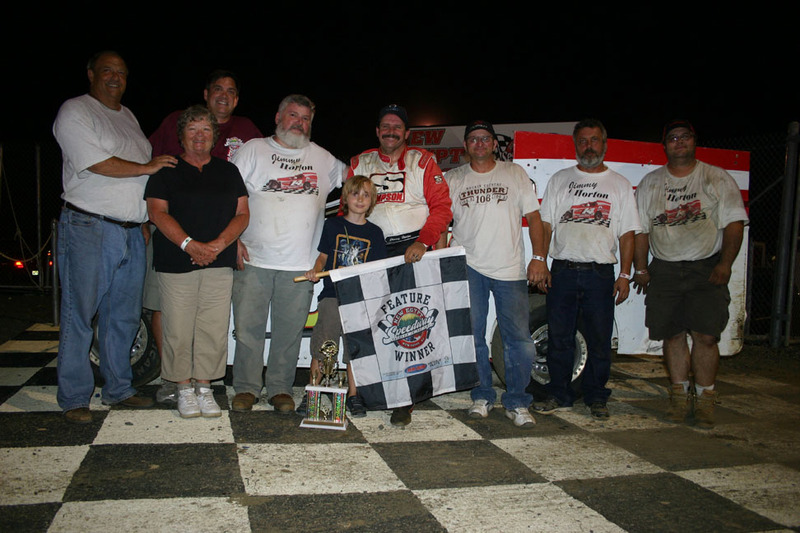 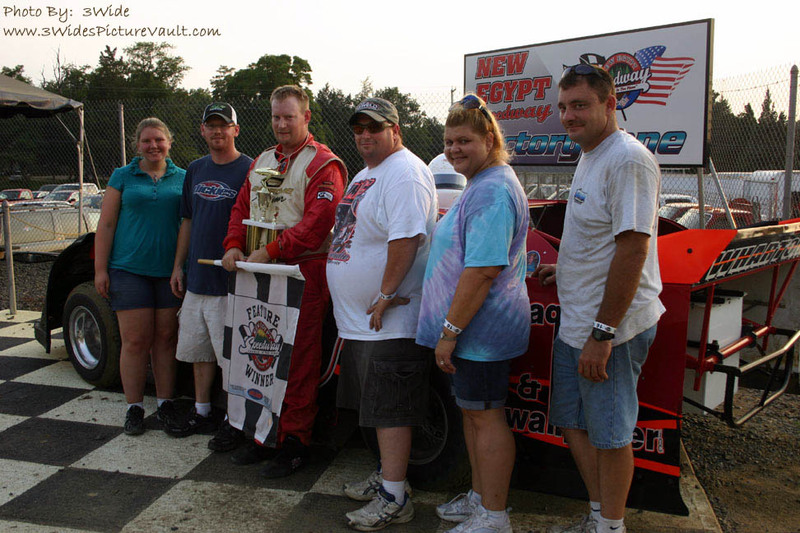 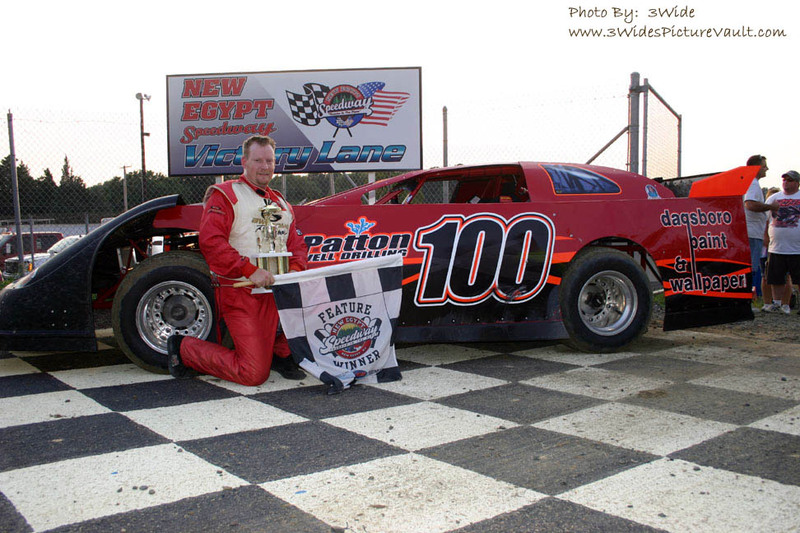 Jimmy Horton in victory lane after winning the Modified Feature event. 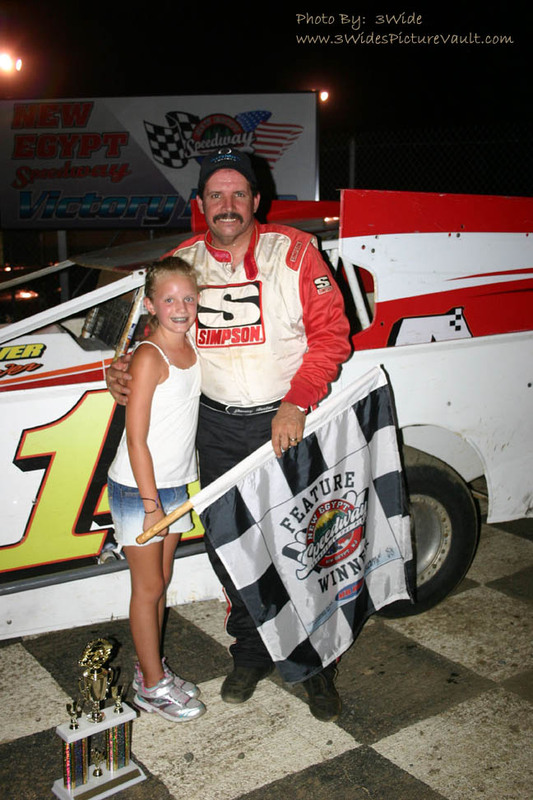 More smiles from Victory Lane! 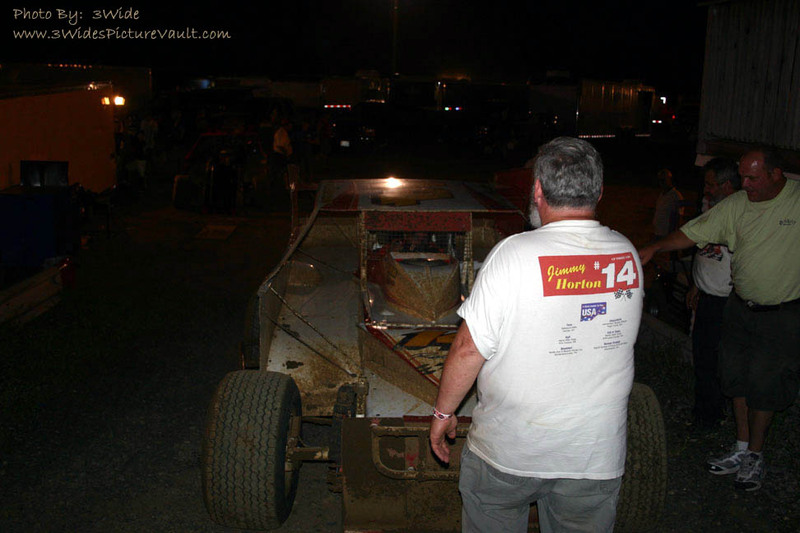 Jimmy's crew guides him out of victory lane after a job well done. 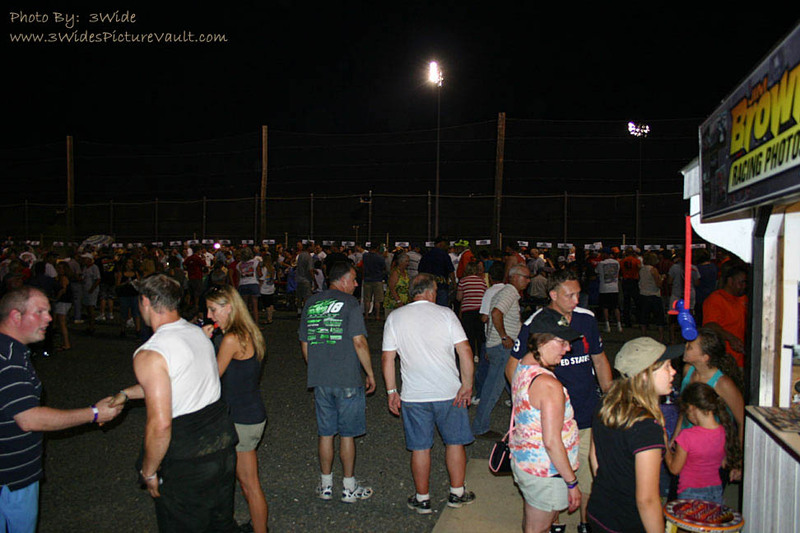 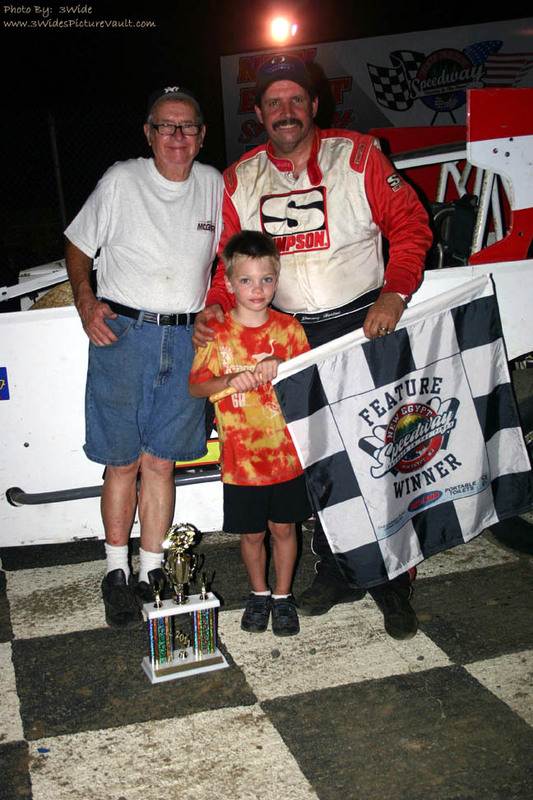 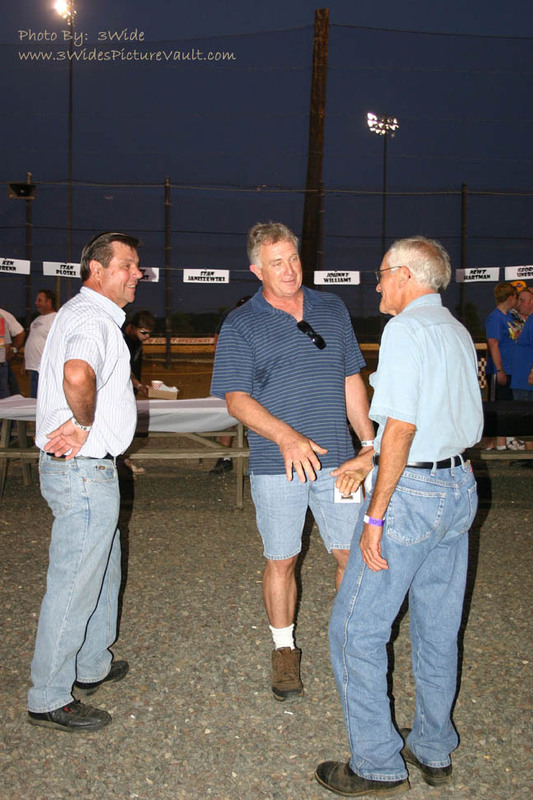 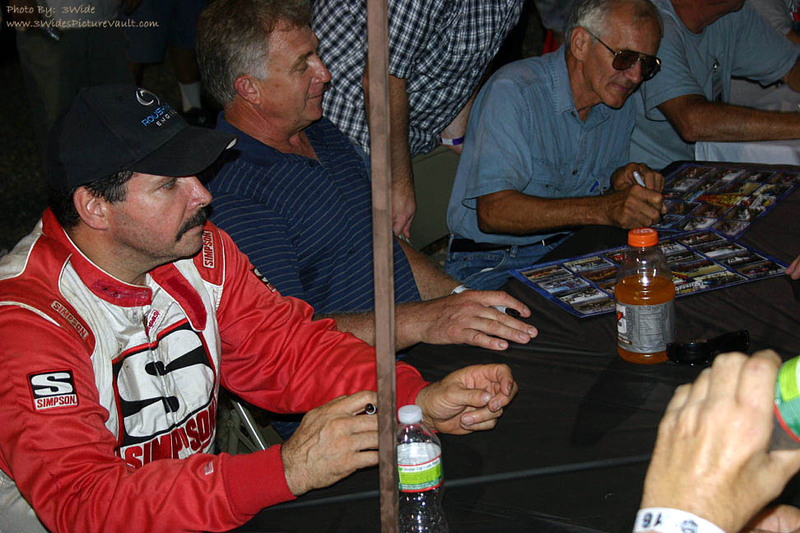 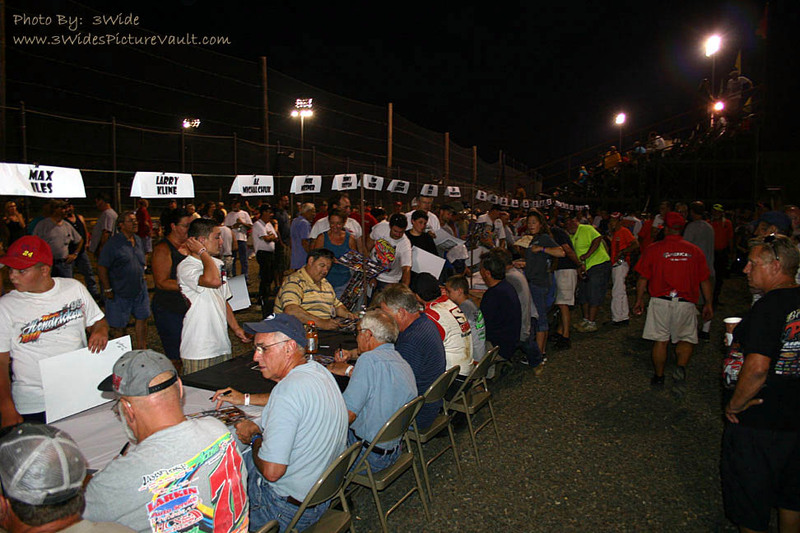 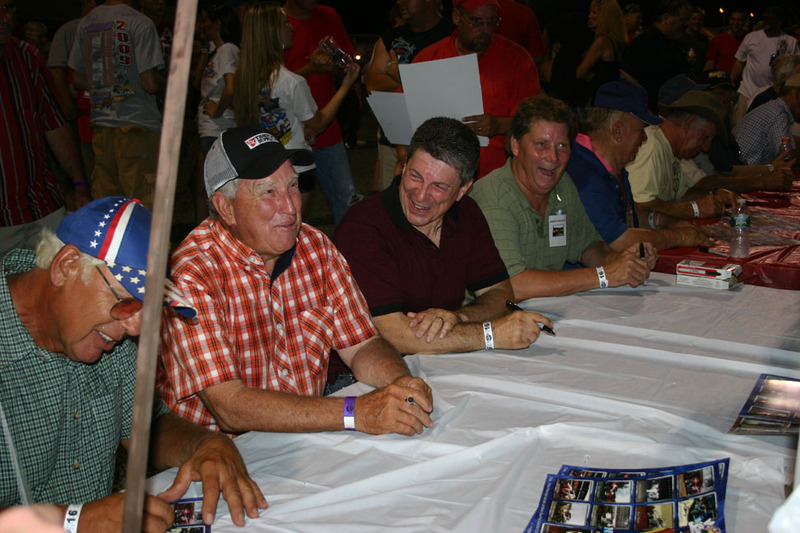 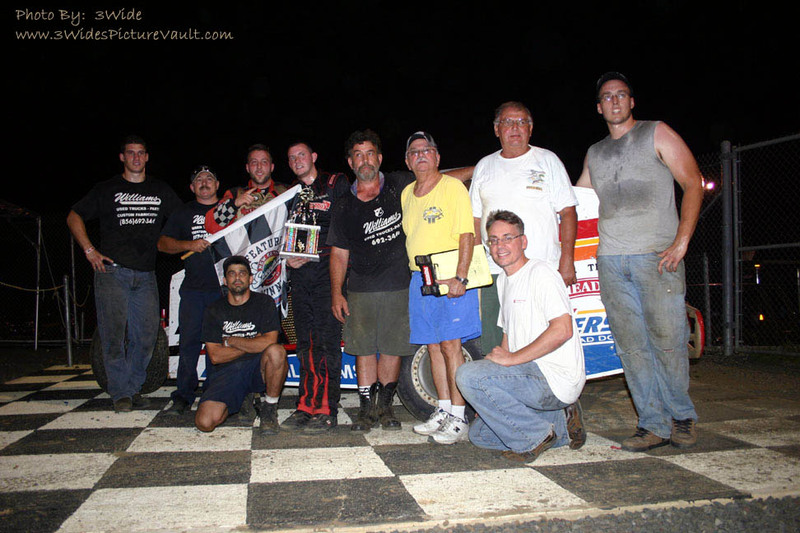 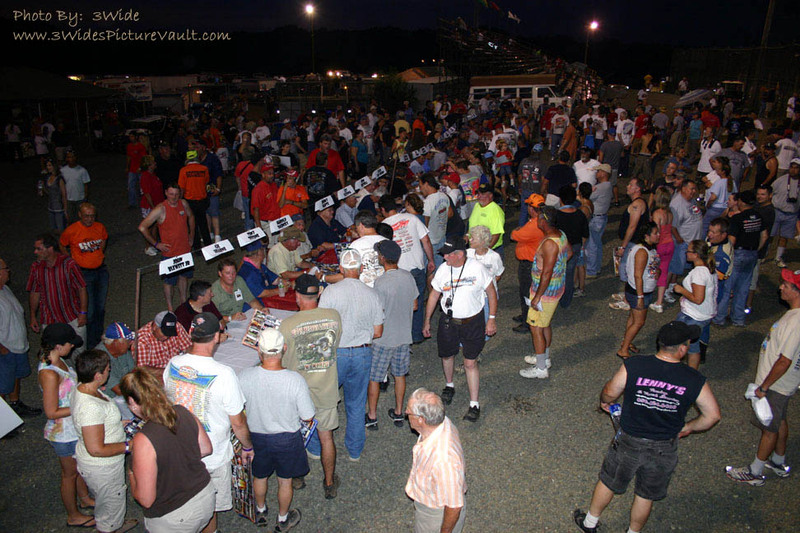 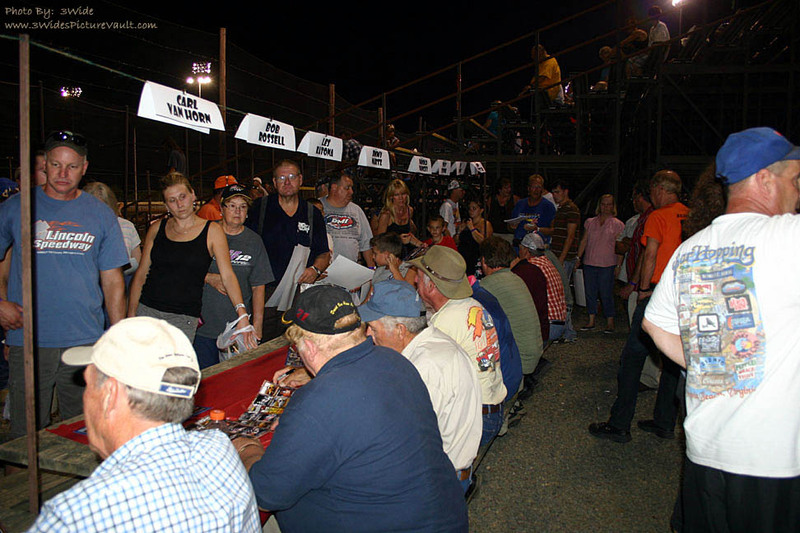 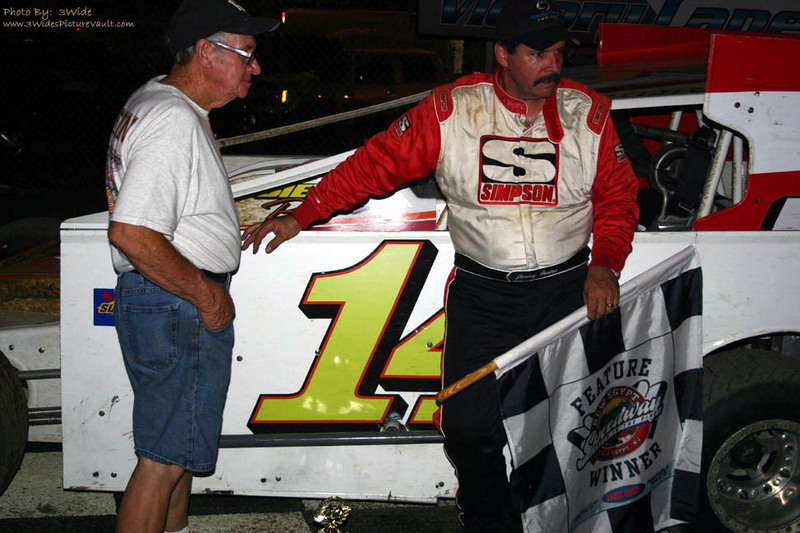 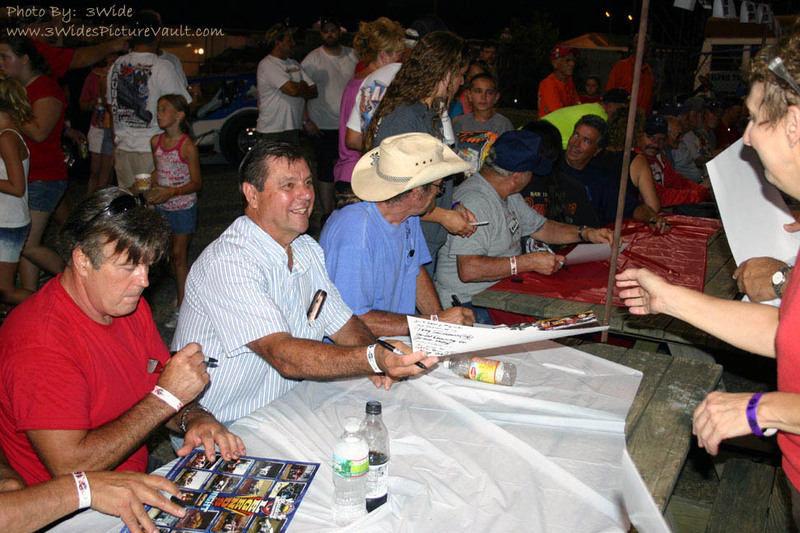 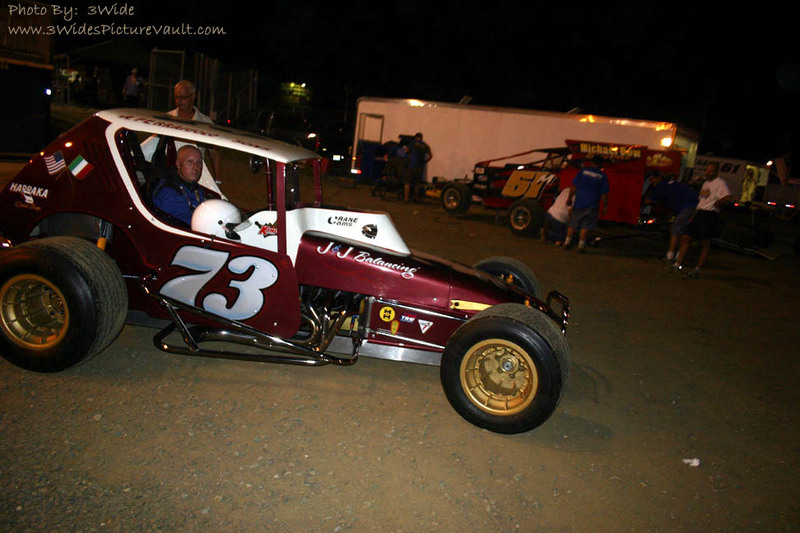 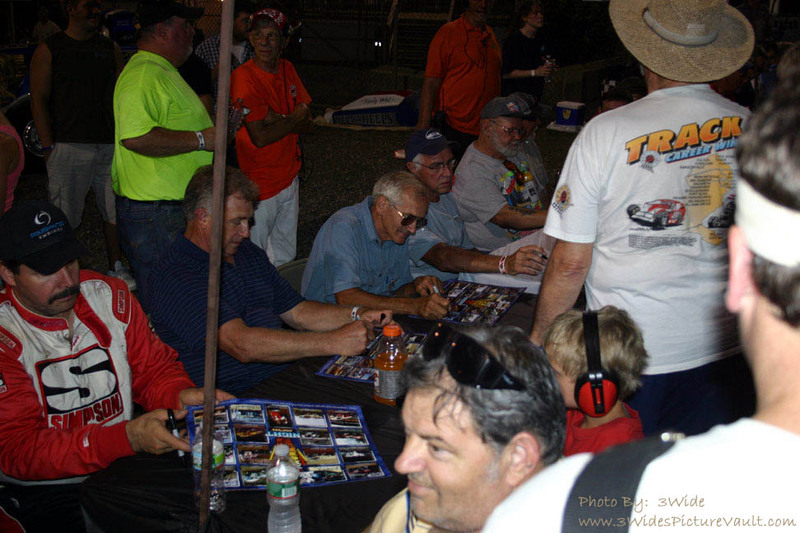 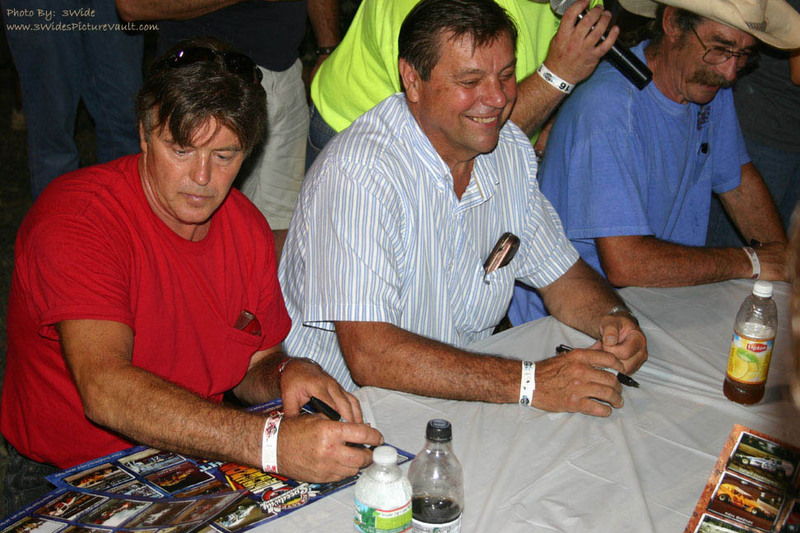 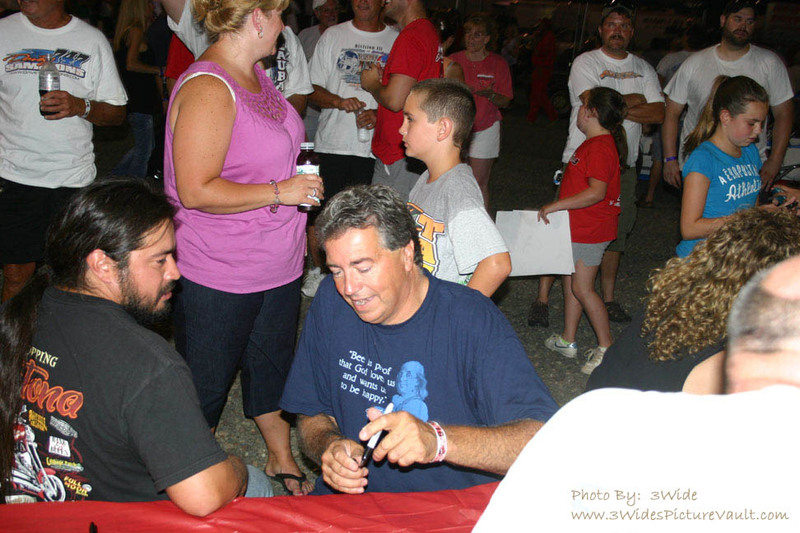 Thanks again for all the driver's, track management and staff, vintage car owners, and fans that made Legends Night 2011, one to remember for all!